We Buy Houses In Hanford! 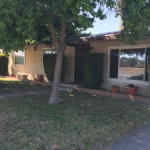 Sell My House in Hanford, CA! Sell your house in Hanford, CA fast regardless of condition, area, or situation. If you are asking yourself “how do I sell my house in Hanford, CA” we have the perfect solution for you! I’m confident we can help you. Our goal at iBuyHousesFresno.com is to help people sell their Hanford houses fast by providing homeowners with a fair, simple, and all cash offer so that they can focus on what’s more important to them rather than figure out all the extensive details of the traditional selling process. That’s why We Buy Houses in Hanford, CA and pay cash. This allows us to make you a great offer and close on YOUR timeline, even within 3 days if necessary! Does your house need repairs? Don’t even worry about it! We’ll buy the house in it’s As-Is condition regardless of the shape it’s in and how many repairs it may need. If you have tried selling your house on your own or maybe you even hired an agent in the past, you know how frustrating it can be to have to always be available for showings and how you constantly have to keep the house clean and ready for strangers to walk through. Fortunately, when you sell your house to us, we make things as easy and simple as possible so you can have the peace of mind you deserve when selling you Hanford house. We’re based in Fresno, CA and may just be a short drive to the house you need to sell fast. We’re different! We don’t want to list your Hanford house or help you sell it, we want to buy your Hanford house. When you list a house with an agent, you HOPE to one day find a buyer, but when you work with us, WE ARE THE BUYER. So no waiting or guessing if your house will ever sell. You can sell your Hanford house fast by reaching out to us today and receive a no-obligation, fair, all cash offer. We’re here to help! 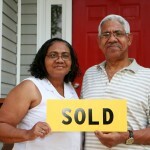 We Buy Houses In Hanford Fast For Cash! Selling a house in Hanford can be stressful, but it doesn’t have to be! When we buy houses in Hanford, we want to make the process as simple, easy, and painless as possible! We know that selling your house can come with many different stresses but it’s our main goal to eliminate those stresses and give you the peace of mind that when you work with us, your house is sold at exactly the price and terms that YOU have decided. We love buying houses in the Hanford area, but most importantly, we love helping homeowners just like you. Since 2010 we have helped hundreds of homeowners in all kind of situations sell their Hanford house fast by giving them an all cash offer and closing quickly and seamlessly. We buy houses in Hanford for cash, with you paying absolutely no real estate commissions, fees, or even making any repairs. How does selling your house get any easier than that? !